Shopping for Disney Action Figures? 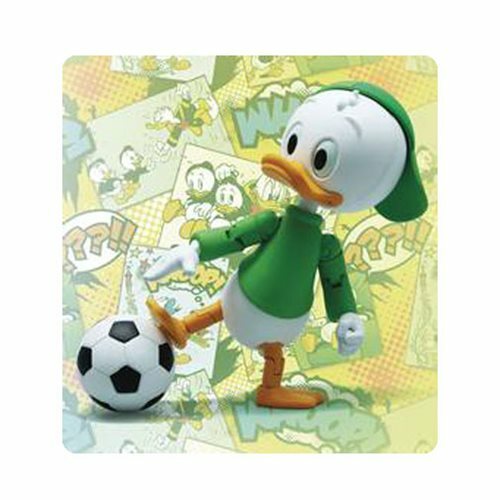 The Disney Louie Duck Hybrid Metal Figuration #055 Action Figure perfectly captures his active and lively personality, with the sense of mischief fully preserved in the interchangeable faces, beaks and eyes. Furthermore, the inclusion of various accessories allows for the perfect replication of their activities in the comics. The Hybrid metal technology provides a robust structure for the products, facilitating for a wide variety of poses. Louie includes 8x interchangeable hands, 3x interchangeable beaks, 3x interchangeable faces and a soccer ball!